In the year 1912 on June 6th, the Katmai Eruption (also known as the Novarupta Volcano eruption) occured, sending nearly 30 cubic kilometers of ash and debris into the atmosphere. The Katmai eruption was the largest of the 20th century. This cataclysmic event created a barren and Martian-like landscape in the heart of Katmai National Park called “The Valley of 10,000 Smokes,” which is a favorite flight seeing destination for our guests at Crystal Creek Lodge. 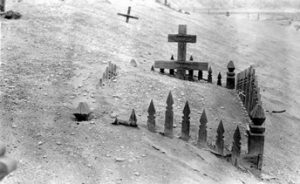 Here are some astonishing facts about the Katmai eruption that occurred over 100 years ago. • The eruption buried Kodiak Island in almost 3 feet of ash. For two days a person could not see a lantern held at arm’s length. Many buildings collapsed from the weight of the ash and residents were forced indoors for weeks. • In terms of volume, the 1912 Katmai eruption was 30 times larger than that of 1980 Mount St. Helens. • People in Juneau, Alaska, about 750 miles from the volcano, heard the sound of the blast over one hour after it occurred. Katmai Village. National Geographic Society Katmai expeditions photographs, Archives and Special Collections, Consortium Library, University of Alaska Anchorage. • Volcanic ash from the 1912 eruption nearly buried Katmai Village. A massive flood in 1916 destroyed what remained. • At the conclusion of the eruption, 40 square miles of lush green land lay buried beneath volcanic deposits as much as 700 feet deep. • Four years after the eruption, Robert Griggs led the first expedition to explore the volcano’s aftermath for the National Geographic Society. In 1916, he found the Katmai Pass littered with thousands of steam pots and hot vents. Griggs named the area, The Valley of Ten Thousand Smokes. • The Valley of Ten Thousands Smokes was created by a flow of superheated gas, ash and dust created by the eruption. The material filled the once v-shaped Knife Creek Valley and created a barren and flat plain. In the end, the solidified volcanic material covered a surface area of over 120 square kilometers to depths of over 200 meters thick near its source. • Robert Griggs was so amazed and enamored with the Katmai region, that he spearheaded the campaign to include Katmai in the National Park system. 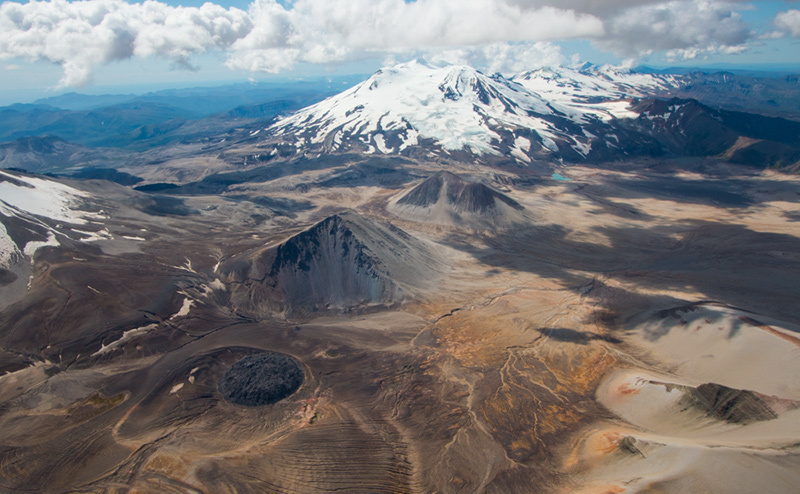 • The summit of the Katmai volcano collapsed when magma drained out of the volcano during the eruption. The summit’s collapse formed a two-mile wide caldera that has since filled with water creating a caldera lake. 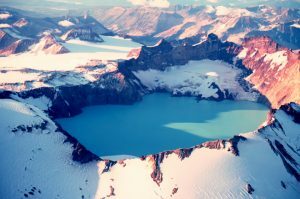 • The Katmai volcano was incorrectly thought to be the source of the largest eruption of the 20th Century because of the caldera and summit collapse. In 1950, scientists discovered that a small dome a short distance from the Katmai Volcano called “Novarupta” was the true source of the eruption.